Dead Zebra announced two things today for collectors, first being a new Christmas ornament in the shape of a Green Android figure. Last year, they produced Red and Blue ornaments, but apparently, there was a massive outcry for a Green option, so here it is. 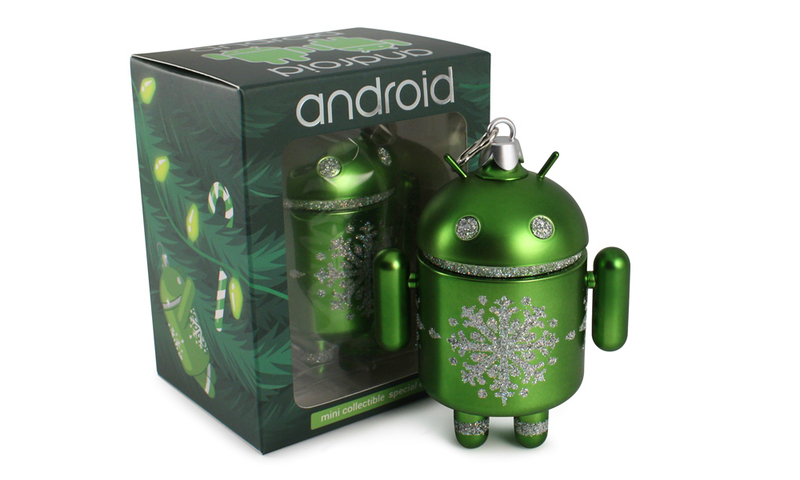 Details for how to purchase the Green Android ornament have been placed below. To sum it up, they will go on sale next Monday (Dec. 15) at 11am EST. These collectibles are first come, first served at $10 a pop, and sell out rather quickly. Best of luck. In addition to the new Christmas ornament, Dead Zebra states that Series 5 of the Android Collectibles should pop up in retailers sometime in January, but sends apologies that they could not be available in time for the holidays. From what we see in the preview, we can look forward to a mean pirate character, Orange mini, Chrome mini, Skeledroid (must have), Panda character, and more. Feel free to tell Dead Zebra that a special DL Pink mini would also be quite awesome. Will you be trying for the Green ornament mini?